Charged Particles Alumni - Charged Particles: Jazz with a Spark! During the early 1980’s, Ron performed and recorded with Bobby Taylor (who worked with Barry Gordy and the Timeless Legend) in a group that included the bassist Foley (who performed with legend Miles Davis). In the mid 1980s, Ron played with Arnett Howard and the Creole Funk Band, performing just about every day of the year for adoring central Ohio audiences. Since then, Ron also worked with Umberto Rameriz, Gali Sanchez, Los Munez Quitoes of Cuba, April Berry & Ballet Met, Dr Glory Van Scott, Victor Casanova of Peru, and jazz guitarist Wilbert Longmire. Ron is former co-leader of Sambateria and has performed with Yumbambe and Bobby Floyd. Jim Maneri is a multi-talented keyboardist and composer who has been a full time working professional musician for decades and has played thousands of concerts and gigs in most every big city in North and South America. Jim was born and raised in Columbus, Ohio, and his jazz piano playing began in his parents' basement, where he was inspired by music ranging from Herbie Hancock to P-Funk. Jim graduated from The Ohio State University on a full scholarship majoring in classical music composition and completed required education courses to be licensed as a public school teacher in the State of Ohio. He studied classical piano with Richard Tetley-Kardos and studied the Alexander Technique with Barb and Bill Conable and Marjorie Barstow. In addition to being a master of the acoustic piano, Jim is an expert on electronic and digital music synthesis techniques, including sampling, sequencing, and sound design. Starting in the 1970s Jim made a living playing in what are now known as “cover bands”, then beginning in the 1980s, Jimi made a living as a jazz pianist and synthesist playing under his own name and as a member of several successful straight-ahead and jazz fusion bands. In the 1990s, Jim was a Vocational Instrumental Music Teacher at Ft. Hayes High School for the Performing Arts in Columbus, Ohio, guiding hundreds of advanced music students to a career in music, teaching students of all levels and instruments music in ways that gave them a lifetime of music enjoyment, produced many student CDs, led students on hundreds of gigs, produced many large musical productions, and became a nationally recognized teacher and lecturer on music teaching methods. Jim was profiled in Downbeat Magazine and was named "outstanding musician" five times at collegiate jazz festivals and competitions. He has performed with such groups as Fly Paper (a jazz dance band), the Jim Maneri Trio (a traditional jazz group), the Most (a modern jazz group), Yumbambe (a Latin-jazz dance ensemble), the Jazz to Go Big Band (performing the music of Ellington and Mingus), The Review (a Frank Sinatra tribute show), the Vince Andrews Band (a jazz-fusion group), Fortune (a top-40 band), Sleeper (a country and top-40 group), Jeanette Williams (a jazz vocalist), the Shellie Jacobs and Susie Goldstein Shows (two Las Vegas style acts), and the Columbus Symphony Orchestra. He has appeared on internationally-released records and CDs, has produced over 100 recording sessions, and has performed on hundreds more, for artist demos, radio commercials, and television commercials. In concert, Jim has appeared on the bill with such well-known international superstars as Miles Davis, Mike Stern, Bob Berg, and the Dirty Dozen Brass Band. 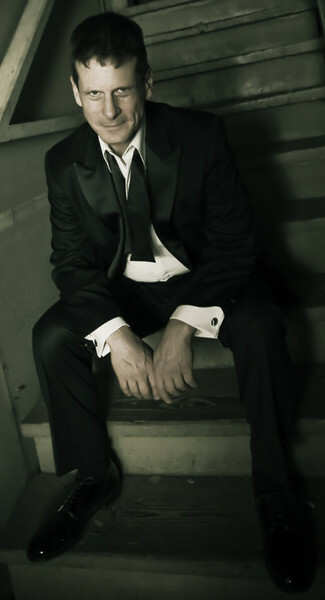 Jim's compositions and arrangements have been performed by symphony orchestras, chamber ensembles, and marching bands. Jim hosted a weekly radio program called "Jazz Sunday" on NPR-affiliate WCBE-FM. Jim writes music for TV, film, video, and websites, travels as an accompanist for singers, plays jazz gigs, and teaches privately. Jim has written hundreds of compositions in all styles from jazz to funk to trance to classical, can teach and play almost all instruments and sing with experience and expertise, and always has a yoyo in a holster on his belt.